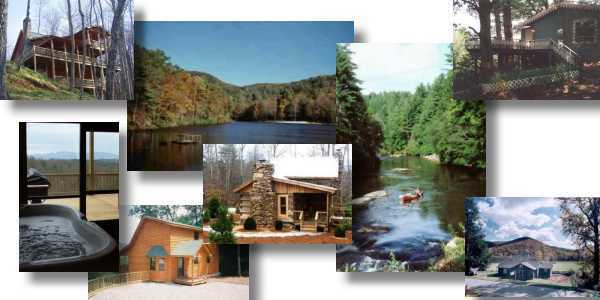 Here you will find Mountain Cabin Rentals, Bed & Breakfast, Resorts and Campgrounds. Many with hot tubs and fantastic views. Many are pet friendly (see individual listings for details). Some cabins are lake, creek or riverside. Others have spectacular mountain views! All are unique and full of charm. You want nature, privacy or wildlife? You will find the perfect spot here at Mountain Cabin Rental, Bed and Breakfast. Just click on each of the many links below to see them all. Many of them are just 2 hours from Atlanta, GA or Chattanooga, TN. To have your cabin listed on this site, contact the webmaster.